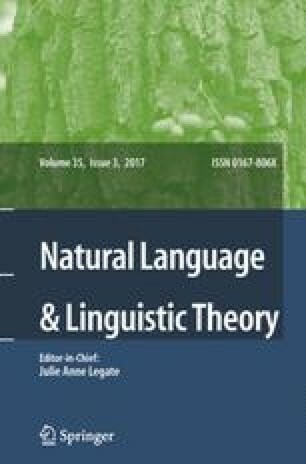 This paper provides support for the claim that there are two functional projections in full noun phrases, Determiner Phrase (DP) and Number Phrase (NumP), based on an analysis of the dual marker in Modern Hebrew. The assumption of two nominal functional categories permits a structural account of differences in the distribution of elements that function as first/second person pronouns and those that function as third person pronouns. It is hypothesized that 1st/2nd person pronouns are DPs which contain only the head D and that this head is specified for person, number and gender. In contrast, 3rd person pronouns have a more complex structure, where D is specified for person and Num is specified for number and gender. Similarities between past tense agreement and 1st/2nd person pronouns on the one hand and between present tense agreement and 3rd person pronouns on the other suggest that the same nominal functional categories that act as pronouns also act as agreement. In other words, the difference between pronouns and agreement lies not in their category, but in their role in the syntax. Finally, this view of pronouns and agreement is applied to complex null subject phenomena in Modern Hebrew. In order to account for the fact that the distribution of null subjects varies across persons and across tenses, we propose a matching condition on both the category and content of the null pronoun and agreement. A preliminary version of this analysis was originally presented at the Workshop on Hebrew Syntax, Université du Québec à Montréal in November, 1990. I wish to thank participants of that workshop, Hagit Borer, Edit Doron, Ilan Hazout, Susan Rothstein and Ur Shlonsky for useful comments and criticism. Thanks also to Hagit Borer for detailed comments on an earlier draft of this paper. I am also grateful to Maggie Browning, Elizabeth Cowper, Lisa Travis and Karina Wilkinson for fruitful discussion of the issues discussed here.